Would you like to be more attentive to others? 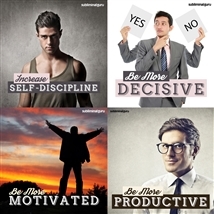 Want an effective way to achieve it from within? Listening involves more than not interrupting. It means taking in the other person's words and ideas, tuning in to what they're really saying, and letting them finish before making your considered and appropriate reply. With the Be a Good Listener subliminal session, you'll set your attention span on optimum levels! 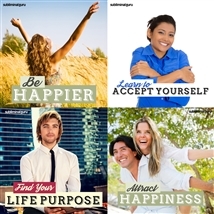 As you listen, thousands of powerful positive affirmations will rewire your subconscious, helping you focus and concentrate. 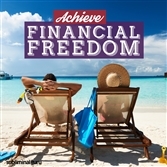 You'll become truly interested in the thoughts of others, keen to hear what they have to say. You'll weigh up their opinions carefully and answer their questions honestly, making them feel valued and important. 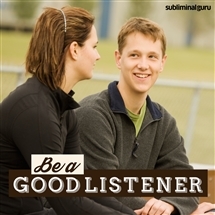 Download the Be a Good Listener subliminal audio now to elevate your listening skills to the absolute max. I let other people have their say. I tune in to exactly what people tell me. I speak when the opportunity presents itself. I respect other people's points of view. I always let people finish what they are saying. I weigh things up before responding. I am attentive and patient. Other people's ideas interest me. I answer questions easily and honestly. I give my complete attention to what others are saying. I listen first and talk later. I listen with an open mind.